Our team skin care experts are passionate about helping you achieve and maintain youthful, beautiful, healthy skin from head to toe. Our licensed medical aestheticians and expert injectable nurses offer complimentary consultations to help you better understand your skin and what treatments are available to you. Microneedling is a safe, chemical free treatment to stimulate collagen growth. When combined with radio frequency, it becomes the newest revolution in contouring and tightening for the face, neck, hands and body, producing immediate results, minimal discomfort, virtually no pain and no downtime. We can reduce unwanted hair on the face or body for all skin types from very light or darker skin effectively with our lasers. The handpiece delivers a laser pulse into the targeted area of the skin and a controlled amount of therapeutic heat effectively damages the hair follicles. This treatment works best on black or brown hair and is NOT effective on blond, gray or red hair. Multiple treatments are required since the hairs on our bodies are not always at the same stage in the hair growth cycle. IPL or high-intensity pulse light therapy (Photorejuvenation) is an option for those who do not have the downtime or may not be a good candidate for laser skin resurfacing or chemical peels. Our IPL device uses a combination of radio frequency and broad spectrum light to safely fade or eliminate sun spots, facial flushing, broken capillaries, freckles, redness and more. Sublative skin rejuvenation treatment is a unique procedure which uses fractionated bi-polar radio frequency to deliver effective but controlled treatment for mild to moderate wrinkles, reducing acne scars and large pores as well creating smoother more elastic texture. Isolaz is a new FDA approved acne treatment that combines a vacuum with a painless broadband light to deep cleanse and purify your pores. Medical instruments are used to gently rid the skin of certain types of acne lesions such as blackheads, whiteheads, and milia. This non-surgical, non-invasive procedure utilizes a laser cut diamond tip in combination with light suction to improve the appearance of fine lines, uneven skin tone, pores and some types of acne scars. Multiple types of chemicals can be used to superficially remove the epidermal layer of skin. The type of chemical used will depend on your skin type. HydraFacial is an invigorating treatment that can be given in as little as 30 minutes. It delivers long-term skin health and can be tailored to meet the specific needs of all skin types. Even the most sensitive skin easily tolerates the HydraFacial treatment. Clear + Brilliant is a gentle laser treatment that refreshes the skin from the inside out. This treatment helps to replace damaged skin with healthy, younger looking tissue. It is a treatment for all ages due to the fact sun exposure, environmental conditions, and lifestyle plays a part into each person’s daily routine. This treatment helps to extend youthful skin or reverse the early signs of aging while helping to reduce the appearance of redness, wrinkles, and pores. This is a simple and safe procedure when performed by a professionally trained and licensed aesthetician. Dermaplaning exfoliates the epidermis while ridding the skin of the fine vellus hair or peach fuzz. Coolsculpting is an FDA-cleared, noninvasive procedure that helps contour your body by reducing fat cells in the targeted area. 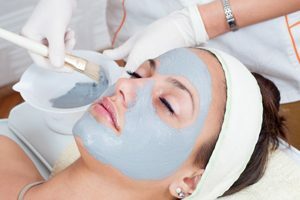 To read more about these services and the other services our spa offers please visit www.premierspaandlasercenter.com. To schedule a complimentary consultation please call 302-MEDI-SPA or complete our Request An Appointment form online.